Poinsettias are arguably one of the most wonderful winter flowers out there. They are hugely popular and sell like hot cakes during the Christmas season. Some people would even go as far to say that there is not another flower that can bring forth a richer and warm display of colors to dull interiors. With their vibrant colors and dark green foliage, they exude a sense of panache and elegance, making them a holiday staple. Poinsettia plants are indigenous to Mexico. Besides their ornamental value, they were traditionally used to make dye for clothes and cosmetics, and their white sap was used by the Aztecs to treat fever. The poinsettia was brought to the USA by Joel Robert Poinsett, which is where the name poinsettia comes from. Upon his return from Mexico, he immediately sent the flowers to some of his friends and botanical gardens. Those flowers soon caught the attention of a plants-man from Pennsylvania, who was the first person to sell them under their botanical name. 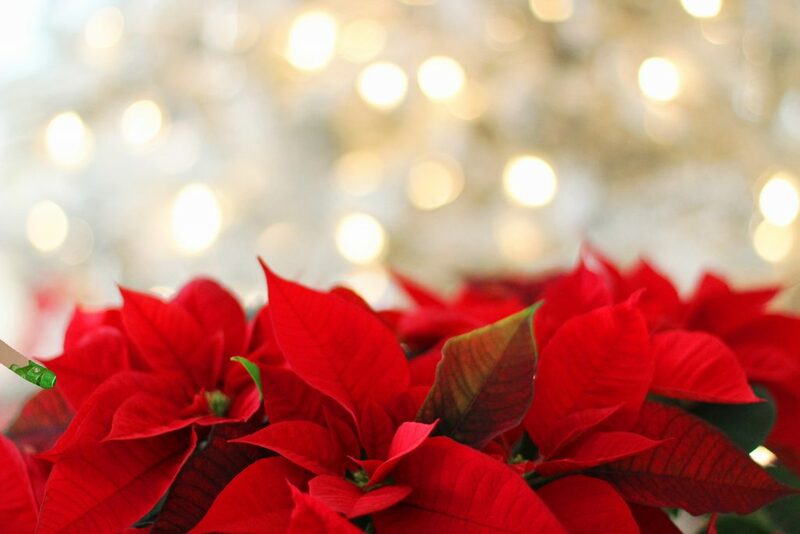 There are over 100 other varieties of poinsettias that come in varying size, colors, and patterns that you can choose from according to your preference. Be it red, pink, fuchsia, purple, white, yellow, you can’t go wrong with either one. And then there are bracts adorned by different patterns. Here are nine of the most popular varieties of poinsettias that you can consider this holiday season. This variety of poinsettia has red bracts highlighting lightening bands of white in the center. On this poinsettia, the bracts are small with curved edges. This variety is most popular for the patterns on its scales. There is a pink center and cream etching on the bract edges. Cinnamon star poinsettias have orange and peach bracts with rosy flecks at the edges. This type of large red poinsettias has smooth bracts and is very common. Orange spice has long and luxurious bracts and a very deep orange color. This variety has a light pink center and milky cream colored bracts. This white poinsettia has big, flat bracts that flare out from the center of the flower. Premium Picasso poinsettia has a light pink color with red flecks on the bracts. Poinsettias are very prestigious and exquisite flowers that will add charm to your Christmas decorations. With a rich history, a wide variety to choose from and beautiful aesthetics, they should be added to your plant inventory.